Game of Thrones is back on our screens this weekend in what is set to be one of the television events of the year. After two years and much hype and anticipation the 8th and final season will be shown at 9pm on Sunday 14th in America, meaning that you’ll have to stay up until 2am on Monday morning to watch it live in the UK. The show first aired back in 2011 on HBO and fast became one of the most popular on the television network. The premiere of season seven was viewed by 10.1 million during the live broadcast with a further 6 million streaming views following – a series record. This is a huge increase from the 2.22 million that tuned into the pilot episode and testament to the massive appeal the George RR Martin franchise has earned. It’s popular not only for the excellent storyline and fascinating characters but for the spectacular scenery and filming took place across the world to portray the Seven Kingdoms. The landscapes shown in this fantasy world are so dramatic and breathtaking that many have already flocked to see it with their own eyes and walk in the footsteps of Jon Snow, Arya Stark and Tyroin Lannister. 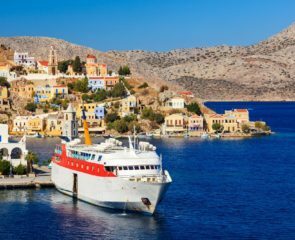 Travelling to a destination that you have seen on TV or in a film is known as set-jetting and is a trend that has risen significantly over the last few years. In fact, two of the destinations used in Game of Thrones appeared in our Travel Trends for 2019 as a result of this. Fancy jumping on the trend this year and celebrating the end of this epic TV show with a trip to one of the locations used for filming? 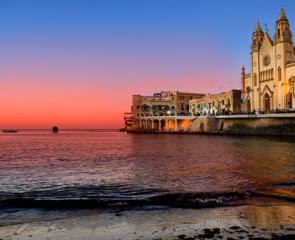 The beautiful island of Malta was used for filming during the first season. The majority was done around Mdina, before moving on to Croatia instead. This town saw a particular spike in tourism, with fans heading to see the original King’s Landing. An actor-led film locations day tour takes place every Saturday. You’ll see the main filming locations as you explore Mdina, Attard and Rabat. Croatia has become a ‘Kingdom of Tourism’ thanks to Game of Thrones. It was particularly after season five in 2015 that fans started to head to see the World Heritage Site of Dubrovnik and the fictional capital of King’s Landing for themselves. In 2017 there were 4,500 GOT city tours, up from just 300 in 2015. The city is now welcoming more than 10,000 visitors a day, which is an increase of around 12% annually since 2011. There are a variety of Game of Thrones-themed activities in Dubrovnik. These include a walking tour that takes between two to three and a half hours and covers many of the filming locations. Don’t fancy walking? Get a different view of the fictional setting with a four and a half hour kayaking tour or try to get out of the themed escape room. 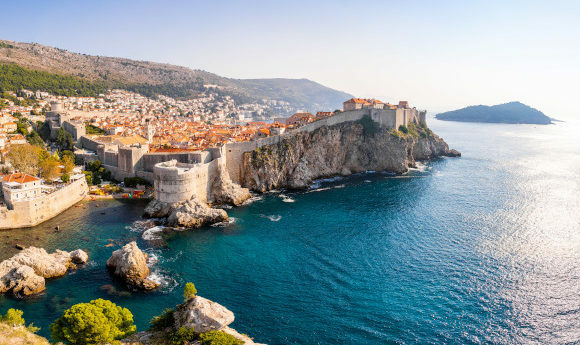 A Game of Thrones Panorama Cruise will take you around Dubrovnik on the ship used in the programme. Slip into a costume and drink Dragon Blood cocktails for added effect. You can also try a Game of Thrones-inspired menu at Restaurant Kopun, which you’ll find at the top of the stairs of the Walk of Shame, and at Promenade there are GOT cocktails. Lokrum Island is home to the original Iron Throne – so make sure you get a picture for your Instagram. Alternatively, you can visit the official gift shop and take a photo in the life-sized replica. Fan of the TV series, Asta Skujyte, said: “I stayed in Croatia for ten days in 2015, when HBO had already aired GOT’s fifth season. In Dubrovnik, we went to the Fort Lovrijenac which serves as the Red Keep in the show. There I also climbed the steps of the Baroque Staircase that becomes the Stairs to the Great Sept of Baelor and Minčeta Tower where the scenes of Daenerys in the House of the Undying were filmed. Iceland attracted 566,000 tourists pre-Game of Thrones but, with its frozen landscape first featuring in season two, the numbers have soared since. In 2015 the ‘Game of Thrones effect’ was seen as responsible for visitor numbers reaching more than one million and last year they topped two million – six times the total population. Take a full day Game of Thrones tour to see the stunning scenery that was used during the TV show, particularly the areas that depicted the snow and ice scenes north of The Wall. Alternatively, you might like to see the scenery from the sky in a Game of Thrones Air Tour. Game of Thrones has been described as ‘transformative’ for tourism in Northern Ireland. It’s estimated that it attracted 120,000 visitors in 2016 and that this is worth £30 million a year to the economy. Linen Mill Studios in Banbridge and Titanic Studios have both been used for many scenes during the series. A Game of Thrones studio tour is due to launch at Linen Mill Studios in Banbridge, County Down, where many of the show’s most iconic scenes were filmed. The studio, which will permanently house props and costumes from the set is due to open in Spring 2020. The attraction is being billed as ‘sensory and immersive’. If you visit before then, head to Belfast for a Game of Thrones-inspired escape room. Just 40 minutes from the capital you can visit Old Castle Ward which was used as Winterfell Castle. As well as seeing 19 other key filming locations that are situated here, you’ll dress up in Stark family costumes and shoot medieval arrows with the help of ‘Jon Snow’. In Belfast you can also take the Direwolf Tour. Your tour guide will either have been an extra, double or support actor in the show so will be able to give you special insight into what it was really like to be on set. You’ll also meet Summer and Grey wind – the actual direwolves in the show. Game of Thrones superfan Alex Jones said: “On my last trip to Northern Ireland, I went to Ballintoy Harbour in County Antrim which was the location for a lot of the outside shots for the ‘Iron Islands’ in Game of Thrones. This setting is made famous in the show by being the home of Theon Greyjoy and his family who rule under the motif ‘What is dead may never die’. “The harbour is located on the Antrim coast, at the bottom of a particularly windy and narrow piece of road, but is well worth the manoeuvring to get down there. It’s a beautiful location, with scenic views out to sea complete with waves crashing on the surrounding rocks. A really peaceful spot and one that any Game of Thrones fan should visit. Once there you’ll be pledging your allegiance to the Drowned God in no time. “I also visited the Dark Hedges, which is a road beset on both sides by imposing Beech Trees in Ballymoney. This area is featured a couple of times in the show, most notably it is featured when Arya Stark is escaping King’s Landing and is making her way to the wall in season 2. “It’s a striking sight and is a location with an almost mythical energy about it. Even for people who aren’t fans of the show, this natural corridor is definitely one to seek out if you find yourself in the North. Game of Thrones is one of the largest productions ever with filming taking place in multiple locations at once. Although these are some of the main destinations used to film the TV series, they aren’t they only countries used as a fictional setting – Morocco and Spain are just a couple of the others. One of the biggest travel trends in recent years is Game of Thrones-inspired tourism – bringing huge numbers of both visitors and profit to the countries that the popular show depicts. So, what did you think of the first episode of the eighth and final season of Game of Thrones? Has it inspired you to consider a holiday to its stunning locations? Which destination are you going to go and see with your own eyes first? Let us know on Twitter, Facebook or Instagram.